Well, the worse has happened..........your hot water heater has busted, your A/C has leaked, your child has left the tub running.........and now your house is wet. First thing you need to do is contact your insurance company and CALL SERVPRO! After that, however, here are some tips that can help you. Document the damage. Take photos and videos if possible. Save any damaged items for your adjuster to inspect. Make a list of any repairs you make on your own, even if they are temporary. Keep all receipts for repairs you pay for. Protect your belongings - move any items to higher/dryer areas. Remove area rugs from the floors. Dyes from the rugs can stain floors if left wet. Clean up as much water as possible by blotting or soaking with wet towels. When safe to do so, circulate air with the use of fans. Few smells linger like the odor of smoke. Even if a fire in your home in Vicksburg & Yazoo only affects part of the structure, smoke damage can permeate the entire house. Fire remediation experts remove smoke and soot after they have secured the area and extracted anything damaged by the fire and the water used to put it out. They may use several techniques to do so. When you wash smoke-infused clothing in a washer, there is an extended period of time where the clothes are sitting in smoky water. The smell can also get trapped in the machine itself. Dry cleaners often have special oxidation processes for getting soot damage out of textiles. Many professionals use industrial foggers to rid homes of smoke damage after a fire. A fogger is helpful because it gets the smoke out of cracks and crevices in a similar way to the process it underwent during the fire. Chemicals are heated to produce fog that permeates porous surfaces, traps smoke particles and neutralizes them. Once the fogger has completed its job, the air is usually noticeably cleaner. Another smoke cleaning method is the use of ozone machines. These devices create a similar atmosphere to the outside air after a thunderstorm. By releasing ozone particles into the air, the area gets refreshed. Soon, the clean air replaces the sooty, stale air, making your home smell clean and normal again. A fire in your home will likely cause extensive smoke damage not only to items within your home but to the structure itself. Professional technicians can clean the damaged area and employ various methods to get rid of the smoke odors. 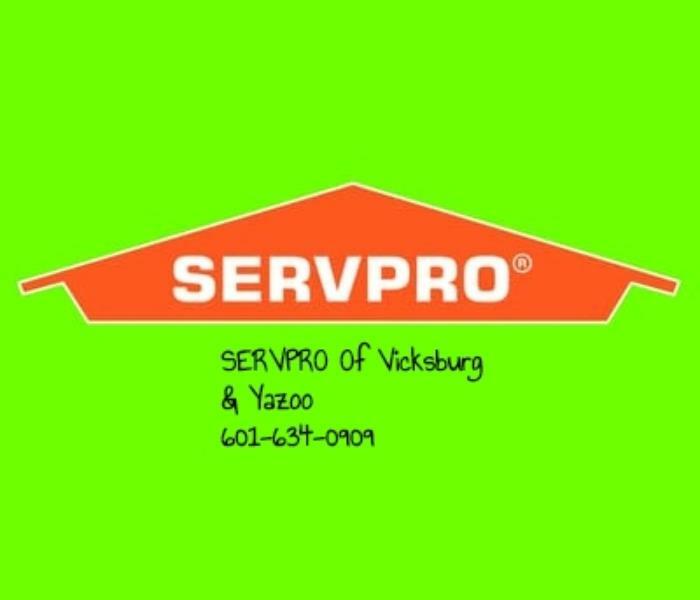 SERVPRO of Vicksburg & Yazoo is locally owned and operated and we are located at 6270 Hwy. 80, Vicksburg, Ms. If you are currently dealing with a flooded toilet in your home, you may not know what to do next. It may be that your toilet overflowed due to a backup or plumbing issue rather than sewer damage but knowing why the water is flowing is only so helpful if you do not know what steps to take to fix the situation. Here are three things you should now about toilet floods. A toilet can overflow for several reasons, but a backup in the toilet or a plumbing issue may be the most likely causes. However, a low flow toilet or septic malfunction could also be to blame. Knowing why you have a flooded toilet is a good first step to understanding what steps to take to remedy the situation. If sewer line damage is to blame, you may have an even bigger problem on your hands. There are three nationally recognized categories of water damage: Category 1 is “white” water, Category 2 is “gray” water, and Category 3 is “black” water. White water is considered the least contaminated, while black water is often a cause for concern. The water from your toilet flood is most likely Category 2 water, which requires cleanup but many not be as urgent as Category 3 water. Since it may be difficult to figure out what is causing your toilet to flood as well as what category your leak falls into, it is usually a wise idea to call sewage cleanup professionals, so trained technicians can help you with your bathroom disaster. They can arrive on the scene, survey the situation and help you decide what to do next. They can often help you fix the matter, as well. Toilet overflows can be stressful and intimidating and having to worry about sewer damage can make you even more anxious. Use what you now know about toilet floods to make a sound decision for your home. Water damage can accumulate slowly over time or be the result of a catastrophic event. Either way, the most important thing is to mitigate the damage as soon as possible. The longer you let water damage sit, the more destruction it will cause. Whether you’re dealing with a pipe burst, seasonal flooding or a slow water line leak, don’t try to handle water damage clean-up on your own. Water damage professionals have the right equipment and expert knowledge to ensure your home is completely restored to its original condition. Here’s what to expect when you call. When water damage experts arrive at your home, they’ll need to evaluate the situation. They need to determine the source of the water, judge how dirty and potentially hazardous the water is and assess the extent of the damage. Professionals have access to pumps, extraction units and other specialized equipment to remove water from your home quickly and efficiently. They also have cameras and meters that can detect water inside your walls to make sure no damage is overlooked. A pipe burst can leave a lingering low level of moisture in walls and floors even after the main mass of water has been removed. Over time, this can cause as much damage as standing water. Experts use industrial-grade dehumidifiers and fans to completely dry floors, walls and furniture to prevent further warping, molding and discoloration. Replacing belongings and keepsakes can be expensive or even impossible. That’s why professionals focus on restoring your belongings through deep cleaning, disinfecting and deodorizing. Severe water damage can destroy paint, drywall, wood or tile flooring and carpets. In these cases, the original materials may need to be completely replaced. A water damage professional can remove the destroyed materials and replace them, ensuring your home is returned to its original state. A pipe burst can seem like the end of the world, or at least of your peaceful and clean home. Fortunately, professional water damage mitigation services can restore your home using these five essential steps. We are Always here to help! SERVPRO of Vicksburg & Yazoo! When you walk through your home in after a fire, you may be overwhelmed by the smell of smoke. Fire does more than burn your structure and the things inside it. It also permeates the air with an intense smoke odor, and getting rid of this odor is part of the mitigation process. There are three main methods professional remediation experts use for smoke cleaning. A thermal fogger uses a vaporized solution to neutralize odors in your building. By heating the solvent, the machine produces a fog that it releases into the room. The deodorizing particles find their way into carpet, walls, cracks, crevices and vents to trap smoke particles and absorb them, leaving behind a fresh scent without the use of water. An ozone machine creates the same atmosphere that occurs in nature after a thunderstorm. It is effective in smoke cleaning because it purifies the air by traveling the same path that the smoke took through the building and oxidizing its fumes. Technicians seal off the affected area and set up the industrial ozone machines. They vacate the area, letting the machines work their magic, and return later to a room that no longer reeks of smoke. An air purifier pulls malodorous air into it and releases purified air. The best air purifier to use for the remediation of smoke damage is a HEPA purifier with an activated carbon filter. The HEPA filter can trap extremely small particles. The pores in the activated carbon filter hold smoke particles and neutralize them, ridding the area of odor. There are many smoke cleaning devices and techniques. 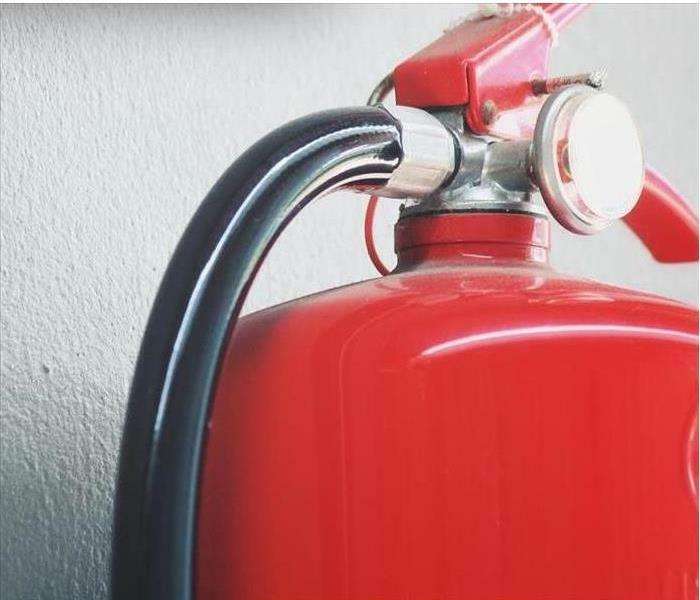 After assessing the damage to your building during the walk-through, experts can recommend the method they think would be the most effective in neutralizing the smoke odor in your building so that you can get back to business. If you have had a fire, please give us a call at 601-634-0909. We will work with your insurance company to make a stressful situation a little easier. We will take the time to explain the process to the homeowner to make sure they are comfortable with every detail! SERVPRO of Vicksburg & Yazoo offers free quotes for carpet cleaning. We can come out, measure, give you a quote, and proceed with cleaning while we are there once we have your approval. We have a very flexible schedule and can usually get you scheduled the week you call. Just give our office at call at 601-634-0909. SERVPRO of Vicksburg & Yazoo is an IICRC firm. The Institute of Inspection, Cleaning and Restoration Certification (IICRC) creates the standards for the restoration industry and provides training and certification to restoration companies. IICRC Certified Firms have the right to display the IICRC Certified Logo. SERVPRO of Vicksburg & Yazoo specializes in the cleanup and restoration of residential and commercial property after a fire, smoke or water damage event. Our staff is highly trained in property damage restoration and we are an IICRC Certified Firm. We believe in continuous training: from initial and ongoing training at SERVPRO’s corporate training facility to regular IICRC-industry certification. After a flood, many homeowners and property managers wonder if their carpet and pad can be saved. Let SERVPRO Of Vicksburg & Yazoo give you the answer, it depends. Factors such as the age and quality of the carpet and pad, as well as the type of installation used, have to be taken into consideration. However, the type of floodwater that caused the damage is most important when determining whether or not carpet and padding can be salvaged. 12/3/2018 - Carpet and Pad after a flood.